McGough becomes the fourth QB on Seattle's roster, the first QB the team has drafted since Russell Wilson in 2012. He will now compete with Austin Davis and Stephen Morris to back him up. 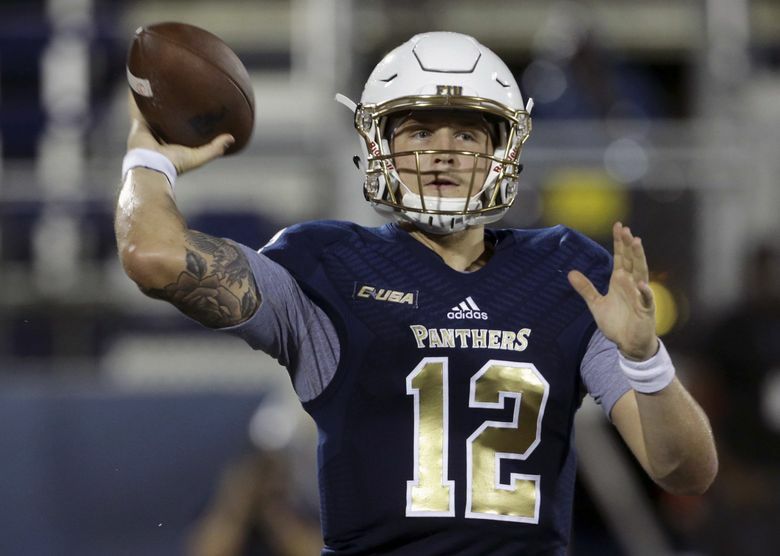 The Seahawks concluded their picks in the 2018 NFL Draft Saturday by taking quarterback Alex McGough of Florida International University in the seventh round. He was the 220th pick overall. The 6-3, 214-pounder and completed 807-1335 passes for 9,091 yards, 65 touchdowns and 37 interceptions. 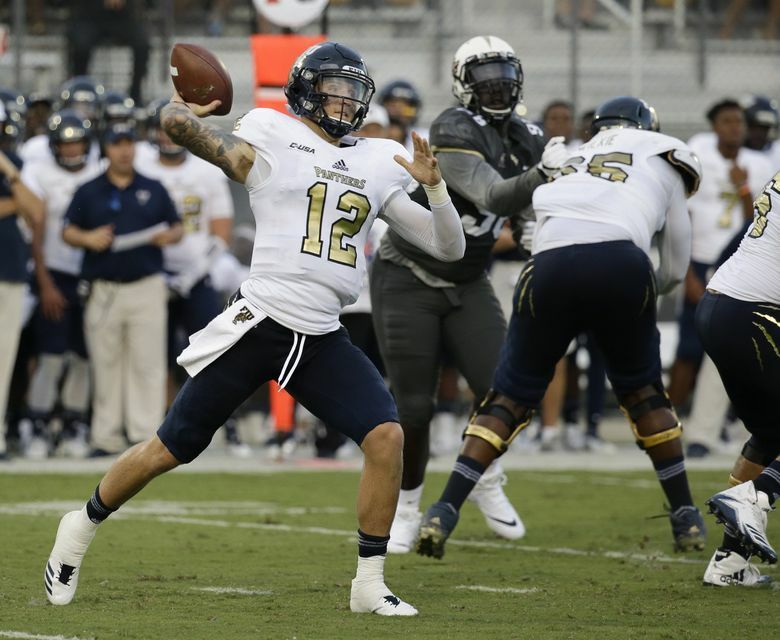 He played his final season at FIU under former Miami and NFL head coach Butch Davis and when the team put in an scheme calling for more of a spread offense and read zone looks and McGough responded with 231 yards rushing and five touchdowns. He finished his career with 535 rushing yards and 16 touchdowns in four seasons at FIU, illustrating a mobility that the Seahawks have said they prefer in their backup quarterbacks. He is the first QB Seattle has drafted since Russell Wilson in 2012 and he will now compete with veterans Austin Davis and Stephen Morris to back up Wilson. McGough was in Seattle two weeks ago for a private visit with the Seahawks. A native of Tampa, he also had conducted a private workout with the Patriots and another with the Texans. McGough suffered a broken collarbone in the team’s 28-3 loss to Temple in the Bad Boy Mowers Gasparilla Bowl but he said he is fully recovered and it is not an issue now.